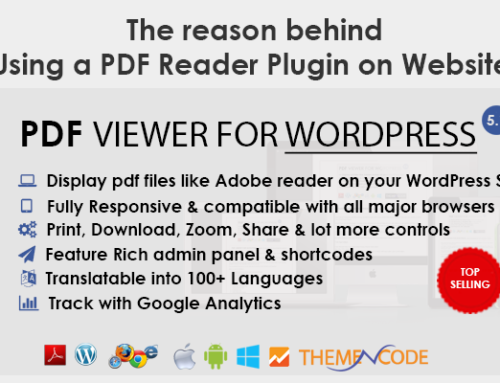 ThemeNcode just released version 1.2 of PDF viewer for WordPress Plugin on Codecanyon. If you don’t know about the plugin yet, please refer to Codecanyon Plugin page . 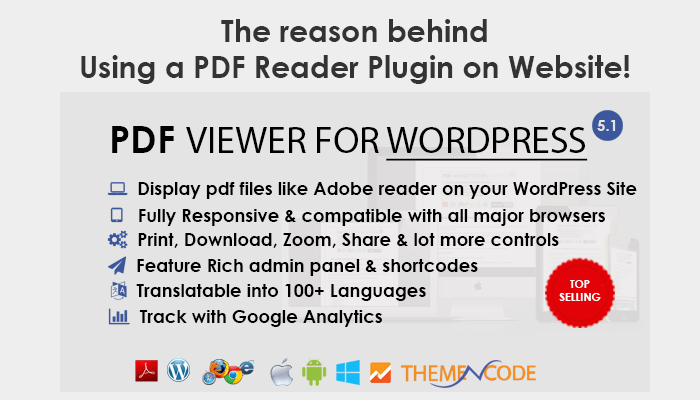 You can display pdf files of your wordpress site with a feature rich viewer similar to Adobe Reader. Users won’t have to install any software on their computer & the reader/viewer supports branding with your logo & Link to Homepage. Please use our contact page if you have any question or suggestion to improve the plugin. Does PDF Documents of your website works on Internet Explorer ?